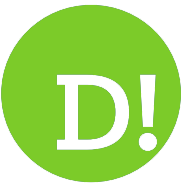 By Robin Roberts on 2018-02-12 - Has had with a career spent covering the automotive industry and particularly its Welsh component suppliers - he can not only tell you what goes where but possibly who made it fit. He has been a motoring journalist based in Wales for three decades. 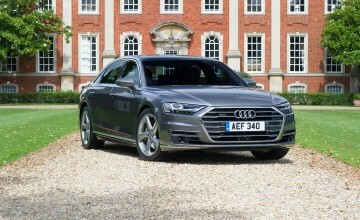 THE new fourth generation Audi A8 really is a car ahead of its time. 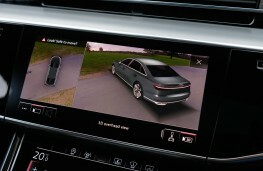 Launching now, the new flagship of the premium brand is the first car in the world to be built for the forthcoming age of autonomous vehicles which don't require driver interaction in traffic at up to close to 40mph, the so-called Level 3 or "eyes off" category. 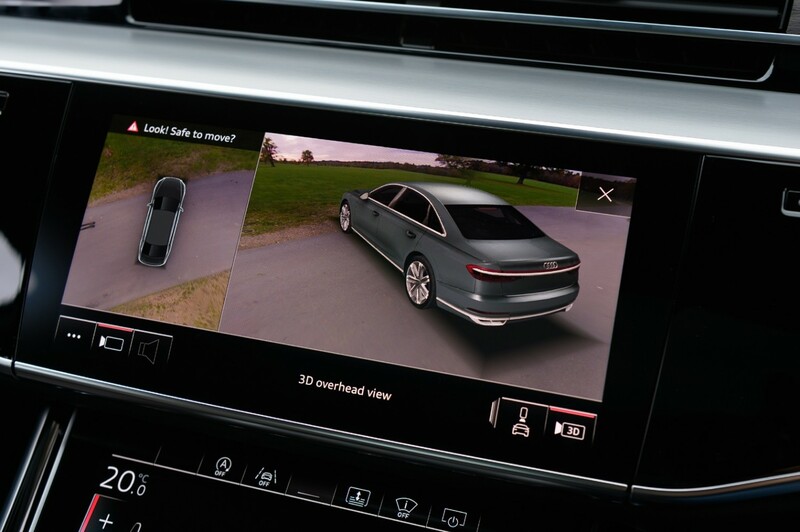 As legislation changes to allow the Level 3 to be ‘turned-on', beginning in America but gradually being rolled out through Europe and the UK, the latest A8 comes with traffic jam pilot, parking pilot and remote garage pilot, which means it looks after itself. 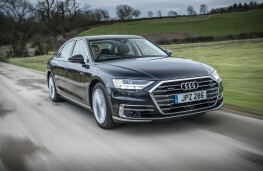 Prices for the four model range in standard or 13-cms longer wheelbase run from £69,100 to just under £75,000 depending on whether they are powered by the 3.0V6 286ps turbo-diesel or 340ps 3.0V6 turbo-petrol, both boosted by a 48-volt mild-hybrid electric motor, and have eight-speed automatic transmission with quattro all-wheel-drive. That part electric 48-volt drivetrain indicates the future of Audi models but a fully electric model is also in the pipeline. 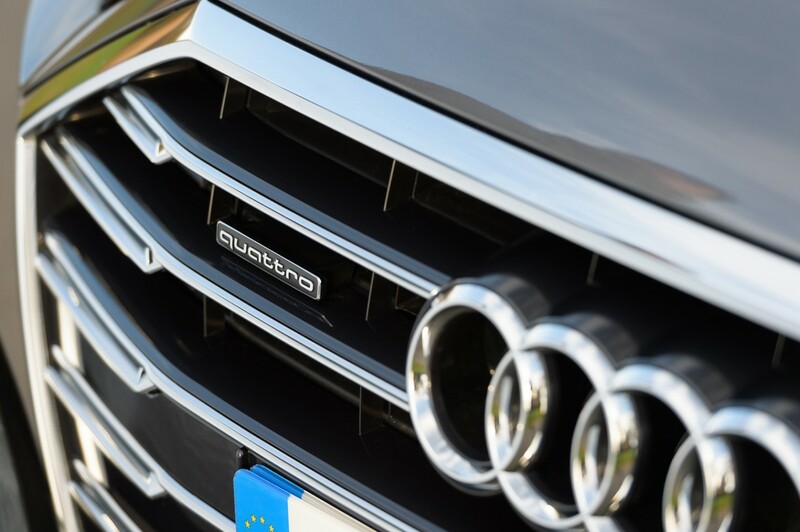 It will be an intense period for Audi with 21 new models scheduled over 24 months and its average model will be just 3.3 years old, putting it ahead of rivals by a comfortable margin. 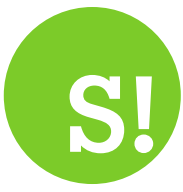 Demand is outstripping production capabilities which means it can maintain strong new prices and used values are also kept up, delighting customers. 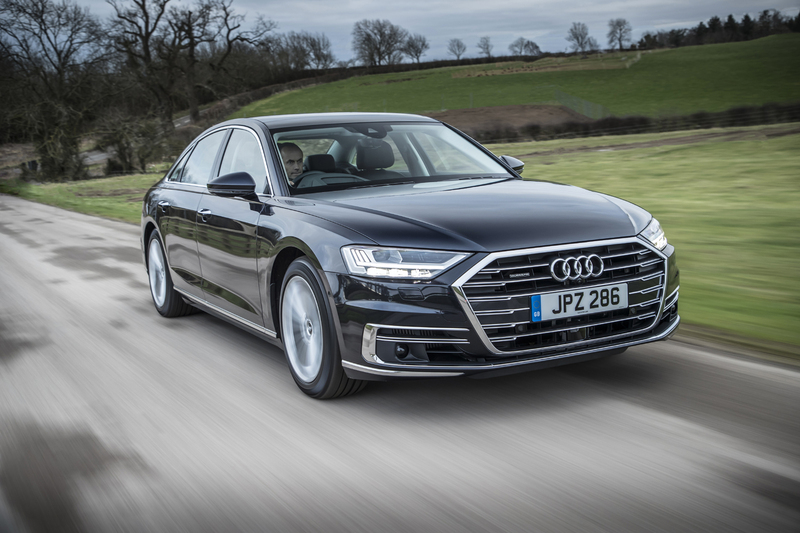 About 1,200 A8s were registered in the UK last year and Audi is confident it can match that figure in 2018. 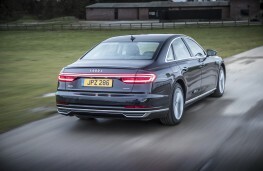 While the exterior changes may not be so evident, it is inside that the new A8 is eye-catching thanks to flat-screen touch and voice technology on the central console and fascia, doing away with manual switches and which build on the virtual cockpit active driver screens ahead of the steering wheel which we have seen in other models. 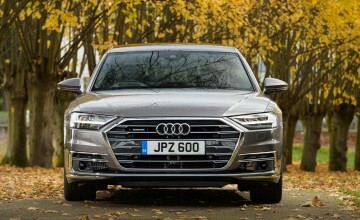 Those who order the long wheelbase model not only get five-inches extra legroom in an already big cabin but they get a bit more headroom as well, heated seats, four-zone automatic air conditioning, a 5.7-inch OLED tablet to control settings including window blinds and a 230v socket as well as additional USB ports. We were able to evaluate both standard and long wheelbase 286ps 3.0 V6 models and apart from appreciating the added sophistication of the interior and truly massive room in the stretched version, their performance was head-turning. Weighing in under two tonnes, their 0-60mph time was under six seconds with a limited top speed of 155mph, but we also saw up to 45mpg and down to 27mpg over a mixture of roads. Even in standard form the normal suspension smoothed out the worst road surfaces without bumps being felt while the longer version seemed to truly glide along. 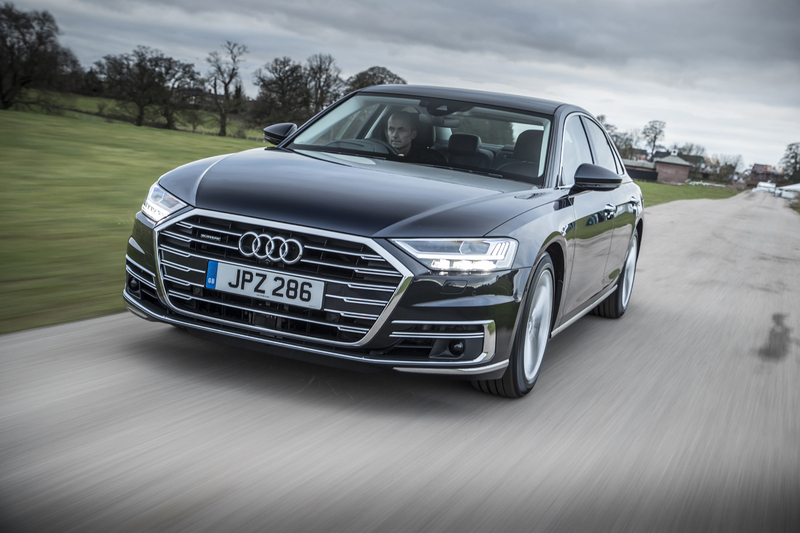 You have an active magnetic fluid suspension so can select progressively firmer damping and while it did feel stiffer the ride quality was still remarkably good. 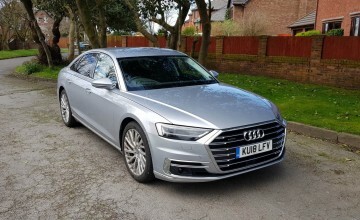 It's a big car overall but the steering made it easy to park and manoeuvre in traffic and the brakes were mighty in application with just modest pedal pressure. Visibility was excellent thanks to the low waistline and back-up sensors and the boot would be a chauffeur's delight with 505 litres available, even if it's a long reach to the bulkhead. With added refinements, building on established qualities, and outstanding performance there seems little chance of demand diminishing as the future approaches.